Campers can rough-it deluxe in 1960s-vintage trailers now available for rental at San Clemente State Beach. Located in a prime locale within the state beach, the trailers come fully stocked with sheets, blankets, pillows, cooking supplies, silverware, dishes, coffee, soap, shampoo and towels (including beach towels). Campers need only show up with swimsuits and food. 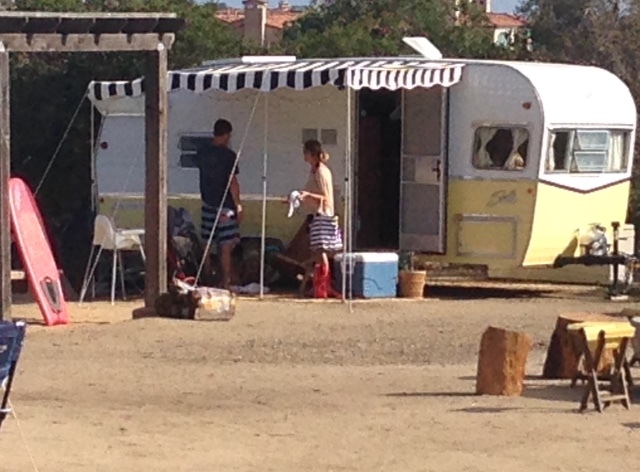 New way to camp: stay in a vintage trailer at San Clemente State Beach. Under an agreement with California State Parks, the trailers were set up by a new business, The Holidays. In a press release announcing the new venture, the company says its intention is to offer a unique and nostalgic experience, taking campers back in time, while allowing them to enjoy the modern comforts of today. I really like San Clemente State Beach, and remember camping there as a kid in the 1960s and seeing trailers that looked much like the now “vintage” ones. San Clemente State Beach is one of my favorite SoCal beach hikes, too. 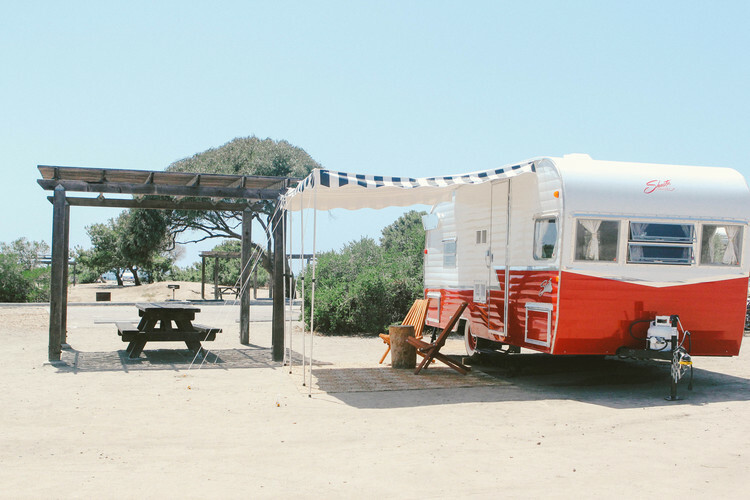 Happy Campers: Rent a vintage trailer at San Clemente State Beach. The Holidays also is attempting to create a camp community, and has positioned its in a circular setting with a central median area to encourage guest interaction. Trailer campers can enjoy a friendly game of bocce ball or an evening around a communal campfire. However, if you just want to get away from it all—including other campers, the trailers are spaced a good distance apart from one another and each includes an individual fire pit, grill, picnic table and veranda. A trailer sleeps up to 4 adults and one child. Park campsites accommodate up to 8 people, so a small (2-3 person) tent can be set up near the trailer. Overnight in 1960s’ style with a vintage trailer from The Holidays at San Clemente State Beach. 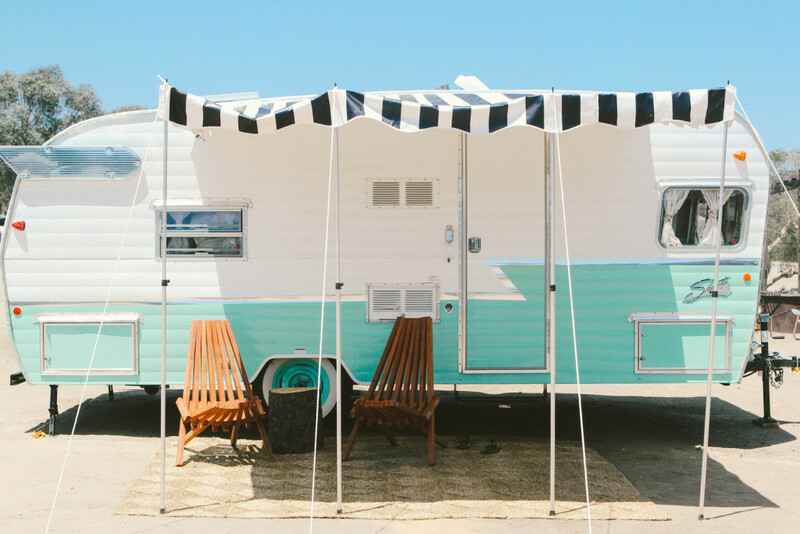 To learn more about the vintage trailer camping experience at San Clemente State Beach, visit The Holidays To book an overnight stay, contact Reserve America.